Last edited by moss on Sat Aug 11, 2018 8:13 am, edited 2 times in total. I see that the theme of this year's Classic Motor Show is "Built to Last". Perhaps the MOC stand needs a large banner reading "So what is rust then?" As I found to my cost, it is what attacks hydragas units and causes them to lose all the fluid. Okay, we know what rust is, but to Midas owners it is something that means we have to replace a part on our car, rather than something that could write the car off entirely. The 'big show' is now less than a month away and it looks like it is going to be another great show for the club. 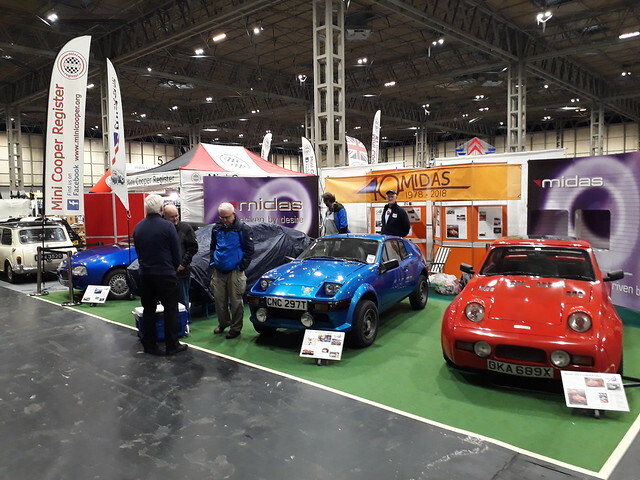 The club will be kicking off the 40th anniversary celebrations at the show and we will be doing our best to maximise the publicity for our cars. We already have a full complement of helpers for the three days of the show, but if you want to attend then the discount codes for advance tickets were sent out in the last newsletter. Tony has made good use of our contacts at Gordon Murray Design and has arranged to borrow Gordon's Midas Alfa. This is now in full working order and Tony has seen some video of the car running around the Dunsfold circuit. We should have more news as the show gets nearer. 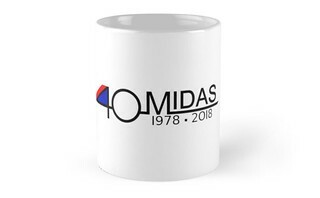 This weekend the Midas Owners Club will be marking the 40th anniversary of the launch of the Midas marque. We have designed an anniversary logo to help us start the celebrations and this will be available as stickers, mugs, clothing and other regalia through Redbubble. Why use a print-to-order website like Redbubble? Well it means that we can offer a wider range of items and don't have to keep stocks ourselves in a range of styles and sizes. 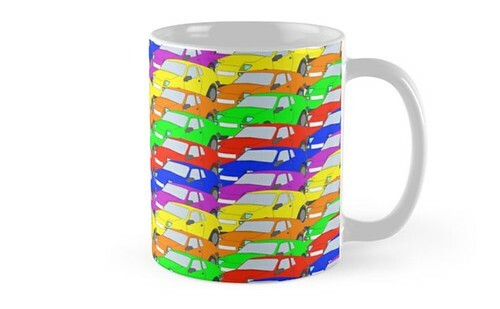 My son James, who drew up the logo, was subsequently inspired to come up with some Pop Art designs that reflect the age of the cars. 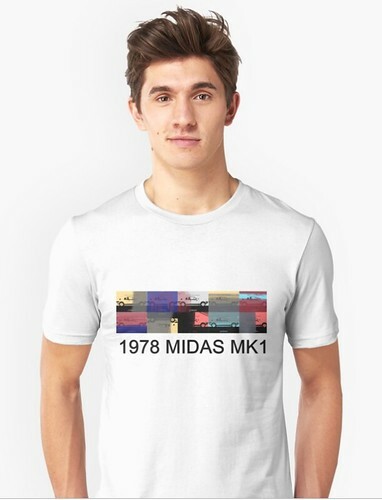 So far he has devised a 1978 Midas Mk1 'self portrait' inspired by Andy Warhol's 1978 self portrait and a Mk2 Traffic Jam. He intends to do a complete set of Pop Art images covering every Midas model, although progress has slowed over the last month as he now has a job to fill his weeks. I will post up some more images and links to the other items available on Redbubble and also post up updates as and when the other designs are ready. Well that is the Classic Motor Show over with for another year and what a show we had. 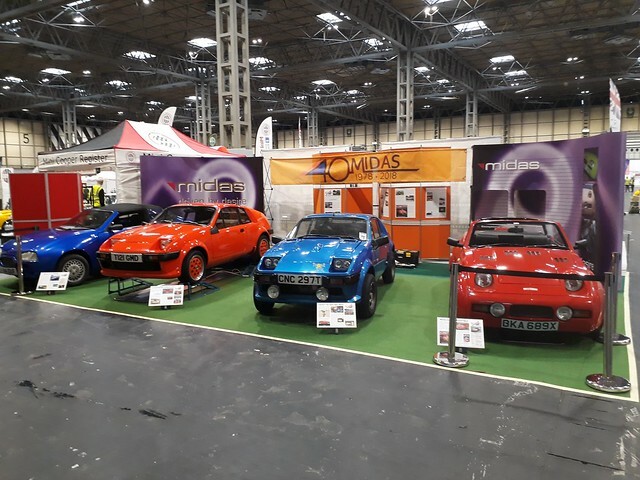 This year's stand was quite outstanding with the Mk1/Mk2 prototype (aka CNC297T), Gordon Murray's Midas -Alfa, Richard Street's prize winning Gold Convertible and Neil Franklin's Excelsior (the last from the Redditch factory). It was an impressive line up complemented by a fully carpeted stand and full-width backdrop. We must give a big thank you to all the owners who lent us their cars. 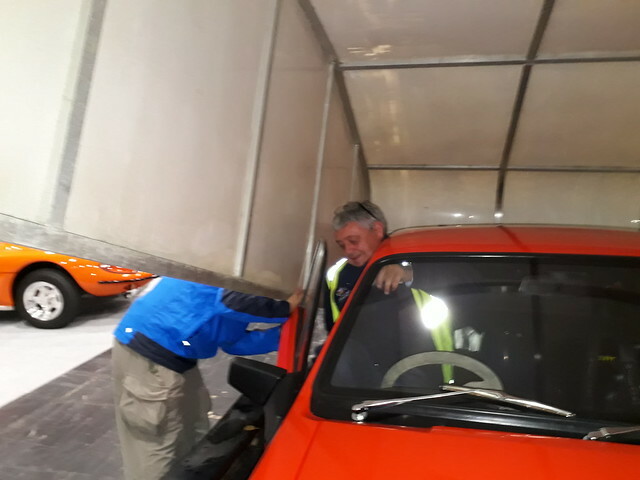 We must also give a big thank you to the club members who helped out on the stand, especially those who came along on Wednesday and Thursday to help set up and everyone on Sunday who pitched in to take it all down (or up, in the case of the carpet). We had a full complement of helpers on each day, which meant we all got some time to look around the show. The days seemed to fly by thanks to a steady stream of visitors and the usual quota of banter among the members. I've been asked why there are no photos of the engine installation. 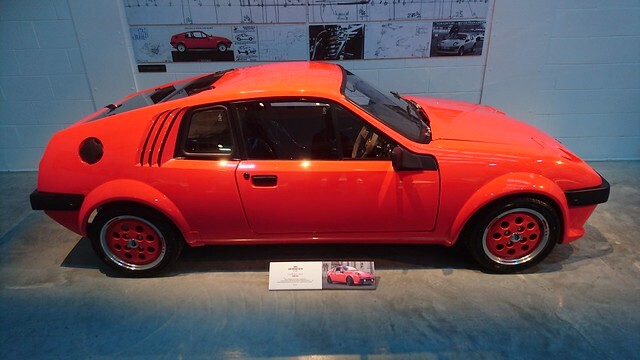 Well it is boxed in from all sides and even with the engine cover off you don't see a lot. Furthermore, the interior is all black and the glass hatch limits access. So if anyone did get any good photos of the engine, perhaps by lying under the car (yes a few people did just that) then please post them up.